Determining the correct composition of the redundancy pool is a step in the right direction to carrying out a fair redundancy exercise. To avoid getting tripped up at an early stage, we explore some of the myths surrounding the redundancy pool. 1. Myth – It is okay to select fixed-term employees for redundancy because of their fixed-term status and not include them in the redundancy pool. XpertHR employment law editors Laura Merrylees and Zeba Sayed provide practical advice on the factors to consider when identifying a selection pool. Fact – The Fixed-term Employees (Prevention of Less Favourable Treatment) Regulations 2002 are relevant here. They make it unlawful to treat fixed-term employees less favourably than comparable permanent employees just because they are on a fixed-term contract. 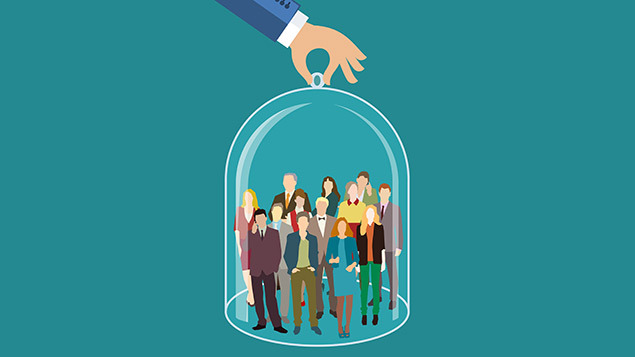 Employers should not select fixed-term employees for redundancy because of their fixed-term status and should include them in the redundancy pool for selection alongside permanent staff. 2. Myth – There is only one correct way to define the redundancy pool. Fact – Employers have some flexibility as to how they determine the redundancy pool – there is no “one size fits all” approach. However, employers will still have to show that they have considered the scope of the pool carefully and based their decision on genuine reasons. Additional measures around agreeing the pool for selection will need to be taken where union or employee representatives are involved. 3. Myth – There is no need to pool transferring employees under a TUPE transfer with existing employees. Fact – It may be necessary to put existing and transferring employees within one redundancy pool, depending on the circumstances. Much will depend on job functions and whether both sets of employees can be required to perform the same work. If the pool is incorrectly defined, this could lead to claims of automatically unfair dismissal under TUPE. 4. Myth – There is no need to include employees from two associated companies within one redundancy pool. Fact – If the definition of “associated company” under the Employment Rights Act 1996 is met, then employers will need to consider pooling employees from an associated company with those who are at risk in the company where the need for redundancy arises. Employers will need to consider factors such as whether both sets of employees carry out the same or similar job functions. 5. Myth – Those on maternity leave have special protection from redundancy and should not be included in the pool for selection. Fact – The law does not, in fact, prevent those employees who are on maternity leave from being placed in a redundancy pool. However, employers will need to be sure that their rationale for including an employee on maternity leave is objective and non-discriminatory. It is also worth bearing in mind that an employee who is made redundant while on maternity leave has special rights relating to being offered suitable alternative work. This article was updated on 30 June 2017. It was originally published on 18 April 2016.